iCloud, the cloud computing service, was announced on June this year in WWDC and finally the site (beta) is up. This new sync service would allow users to automatically transfer the files to any other devices that is chosen. So if you create a document or edit a photo on your Mac, iPhone, iPad or even your windows PC, it gets transferred to your desired device. Another advancement in technology! You simply do not have to transfer the files by your ‘pen drive’ (USB) or email. Time saved ! iCloud would remember all the settings that you have in your device so that all the info is on your hand when you replace or upgrade your i device. iCloud.com is your data’s house. Moreover, Apple will give out 5GB of free storage space ! Additional storage space would cost around $20 for 10GB and $40 for 20 GB and $100 for 50GB. Well, 5GB is a lot for an average user but if you store loads of photos and videos of yours, you might run out of space. But still, 5GB of free space is a good gesture from Apple. 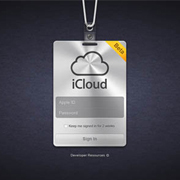 iCloud would be officially launched this fall and it will replace MobileMe and would be installed in its mobile devices as well was the iOS5! Lets see what lies ahead ! Why use Icloud when Microsofts SKY Drive gives you 25GB and Icloud only 5GB.